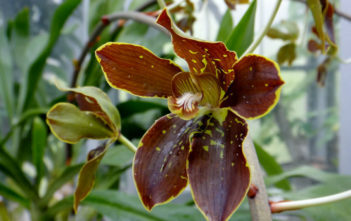 You are at:Home»Archive for "Grammatophyllum"
Grammatophyllum, abbreviated in horticultural trade as Gram, is a genus of 13 currently known orchid species. 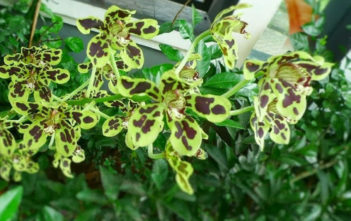 The name is derived from the Greek words “gramma” (a line or streak or mark) and “phyllon” (leaf), referring to the parallel leaf veins or the markings of the perianth. 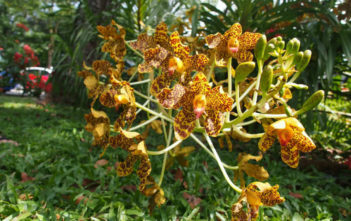 This epiphytic genus occurs in dense rainforest from Indo-China, to Indonesia, the Philippines, New Guinea, and the Southwest Pacific islands.